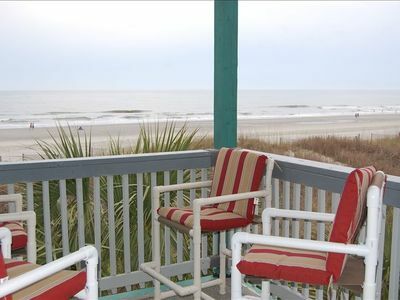 Cruise into the ultimate South Carolina getaway at this Surfside Beach 1-bath vacation rental! Hosting up to 4 guests, this first-floor studio features all of the comforts of home, including a private balcony and a fully equipped kitchen. 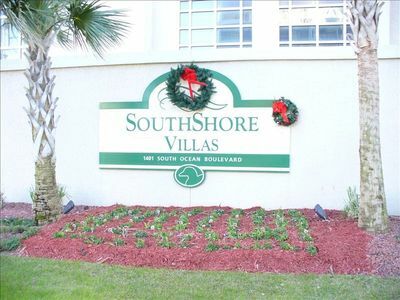 The prime location, just a block from the beach, lets you make the most of your vacation time. 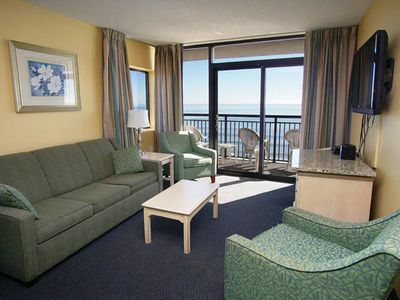 Additionally, Surfside Pier, seafood restaurants, and oceanfront bars are all just minutes away - while Myrtle Beach Boardwalk and Promenade is only 20 minutes north. 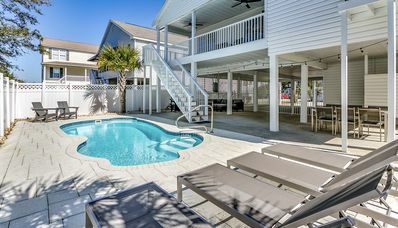 After a day in the sun, retreat to this air-conditioned haven - complete with numerous amenities, such as complimentary wireless internet and in-unit laundry machines, along with an outdoor shower - perfect for rinsing off residual sand! 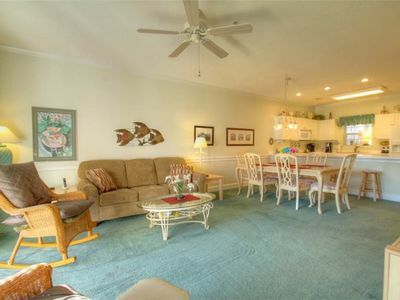 Once inside, you'll find yourself in a state of bliss as the sea breeze floats in through open sliding glass doors. 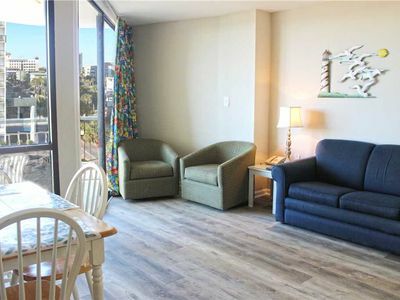 Pour yourself a cold drink before stepping out onto the private furnished balcony for a little R & R. When hunger strikes, you'll find yourself conveniently located close to great seafood restaurants. 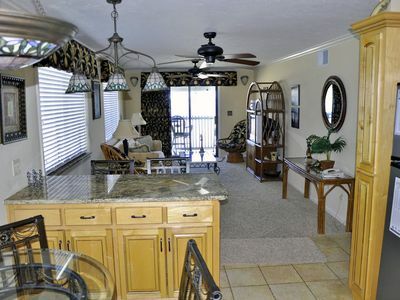 But staying in is also a fine choice with a fully equipped kitchen at your disposal. Savor your meal inside at the 2-person table or return to the balcony for an al fresco dining experience! Complete the day with a soothing shower in the full bathroom, stocked with fresh towels. Afterward, make yourself comfortable in the plush king-sized bed - where you can fall asleep to late-night shows playing on the flat-screen TV, with basic channels. If you've got kids in tow, you'll be happy to know that the living area's couch pulls out into a bed for 2! 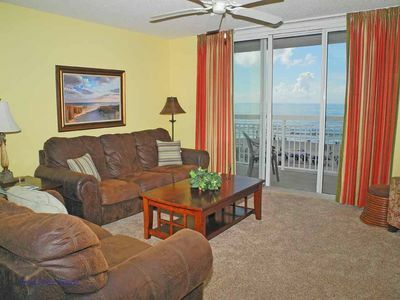 Experience the best of Surfside Beach from this studio featuring a convenient location to all the area has to offer! 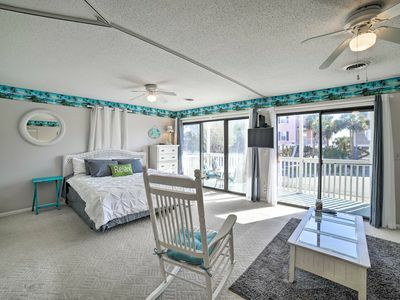 Soak up the sun's rays on the beach, just a block away, or hop in your golf cart - available for rent at Graham Golf Cars, Inc. - to head to Surfside Pier, located just minutes up South Ocean Boulevard, for shopping, fishing, and dining options. 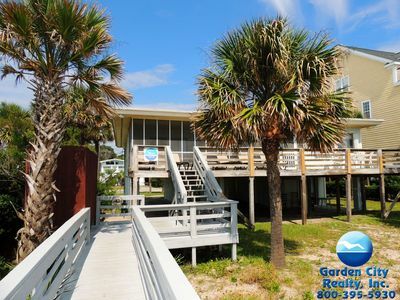 A trip to Surfside Beach isn't complete without a day on the Golden Mile, found just 20 minutes north of the unit. 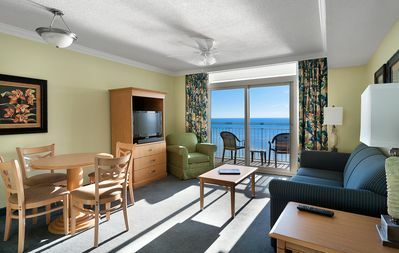 Here, you'll discover all of Myrtle Beach Boardwalk and Promenade's attractions, including everything from Family Kingdom Amusement Park to the Myrtle Beach Skywheel - where you can gain a birds-eye-view of the surrounding landscape. Afterward, grab a drink from one of the local bars, like Pier Hour Restaurant. Don't forget that Myrtle Beach area features over 100 golf courses; making it a true golfer's dream! 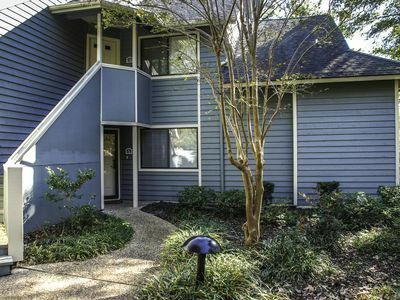 Local to the unit are Indian Wells Golf Club, Indigo Creek Golf Club, and Tupelo Bay Golf Center, all found within an 8-minute drive of the property. 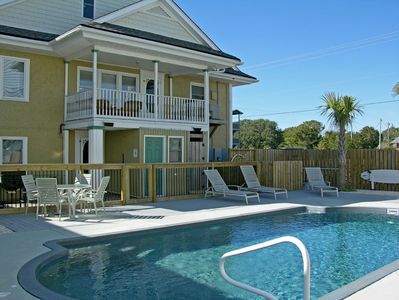 For a change of scenery, head south to Charleston, located less than 2 hours south! This historic city will welcome you with its southern charm, cobblestone streets, and pastel-colored buildings. Don't miss out on a horse-drawn carriage tour and the mouthwatering southern cuisine! 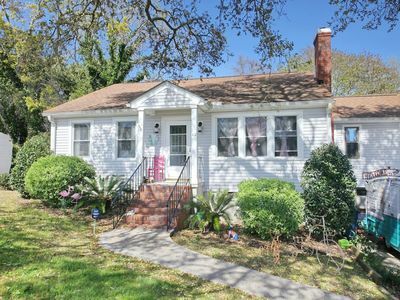 - Idyllic Surfside Beach location just a block from the beach, minutes from Surfside Pier, restaurants, and oceanfront bars, 8 miles from Waccamaw River Tours, 20 minutes from Myrtle Beach Boardwalk and Promenade, and close to numerous golf courses! 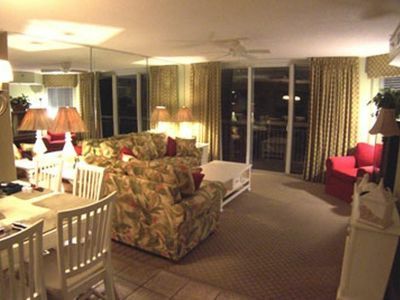 Crescent Shores Dream Condominium--Why Stay Anywhere Else--save now! 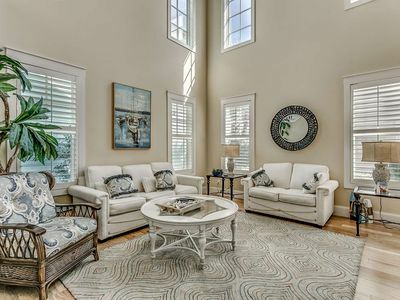 Adorable ground floor condo. 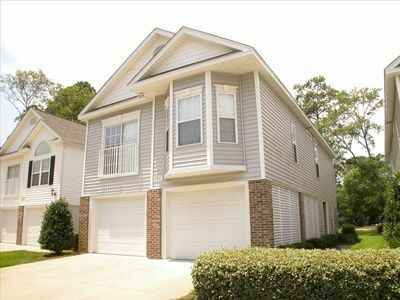 Close to many attractions in Myrtle Beach! 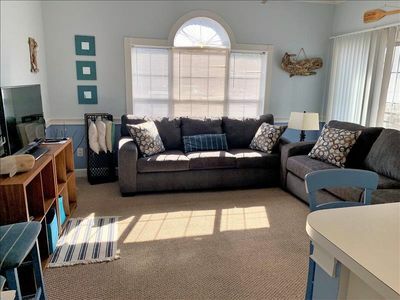 Pier Home, Wi-Fi/Golf Cart Incl! May 4-18th open! $1,195 all inclusive!! 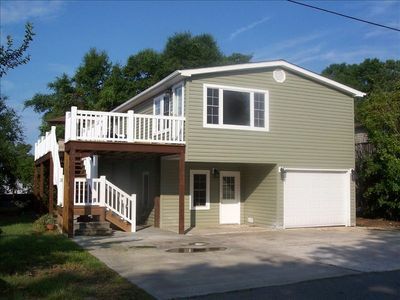 GROUND FLOOR - Recently Updated 3 Bedroom/3 Bath Villa Ready for Winter Renters! 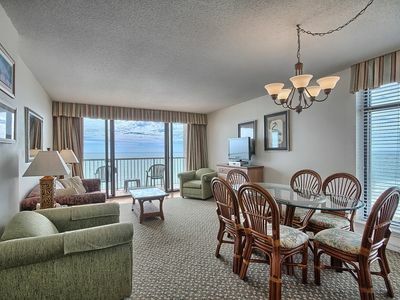 Crescent Shores Oceanfront Unit 311! Stunning Condo. Book your get away today! 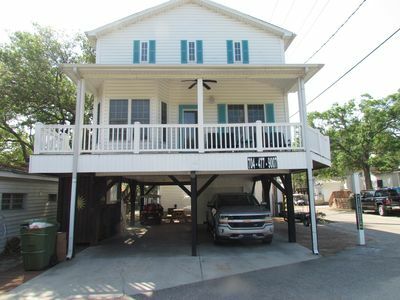 Perfect Myrtle Beach Home Just Steps to the Ocean!